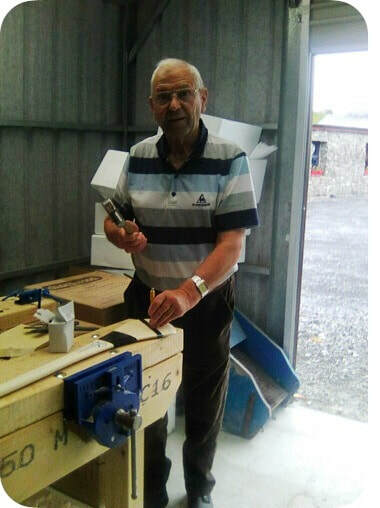 If you have some free time on your hands then why not join the Lackagh Men’s Shed group. The GRETB funded metalwork and woodwork restoration skills training course will commence at 8pm on Tuesday, 7th August in the museum. A number of horsedrawn farm machines and implements will be restored to their former glory as part of the course. The shed members are now repairing hurleys for Turloughmore juvenile Hurling Club and would welcome new members to help out. Please contact Zeno on 086-4506727 or email lackaghmuseum@gmail.com for more information. 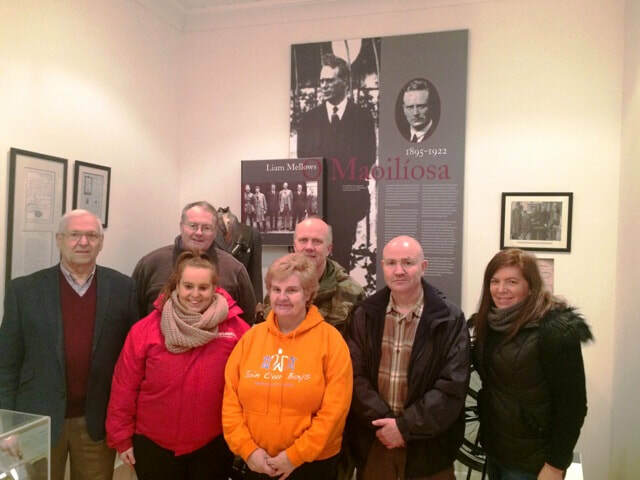 Members of Lackagh Museum and Men's Shed had a most enjoyable tour of Dún Uí Mhaoilíosa (Renmore Barracks) Museum on 1st February, 2018. The museum is open by appointment to groups who wish to come and learn about the history of the Barracks which goes back to the Connaught Rangers in 1881. When the Connaught Rangers was disbanded in 1922 the barracks were taken over by the Irish Army and subsequently renamed Dún Uí Mhaoilíosa after Liam Mellows in 1952. The barracks are now the base for the 1st Infantry Battalion of the Irish Army. The displays feature numerous information panels and a wonderful array of military artefacts including uniforms, guns, the personal effects of soldiers and Dún Uí Mhaoilíosa's contribution to Ireland's proud UN Peacekeeping record. For anyone with an interest in local history, this is a hidden gem!